Please note that Kyndra Hatch is the SFR Brigade Blog Manager. All guest posts and dates should be scheduled through her. If you would like to have access as a regular blog author (which is encouraged), please request an invitation from Kyndra. Guest posts should be a maximum of 500-700 words not counting author info. This is a suggestion. If you need more word count to cover your topic and your guest post is concise, it probably will not be an issue. 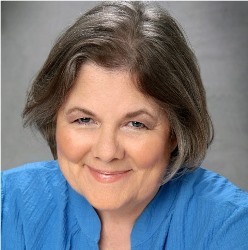 The author can also include cover, blurb and up to five links for contributor's latest or blog-related work, plus their bio and social media links (these are in addition to the guest post and not part of the word count limit). Maximum ten links. Can include links to an except. Managers reserve the right to edit your blog as needed for space or to keep your blog within guidelines. 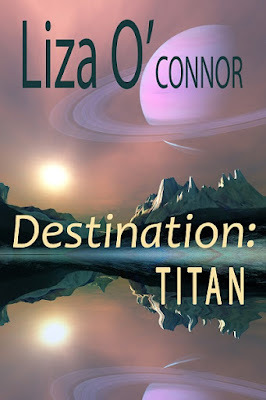 All guest posts must include a disclaimer stating: The views expressed above are solely those of the author and are not necessarily endorsed by the Science Fiction Romance Brigade. For me, cyberpunk has always been the genre of rebellion. It eschewed the shiny futures and far frontiers that other science fiction genres promised. More importantly, it focused on the rebels and runners who made their living in the cracks where society had left them – thriving like weeds in the neon-soaked concrete. When I started the Corporate Services books, I knew I wanted to keep that rebellious cyberpunk ethos. That meant I needed something to be rebelling towards – an end state for the world that would level the playing field between the haves and the have-nots in my stories. For me, that meant the Singularity. Or at least some version of the singularity. For the unfamiliar – the Singularity is considered to be the moment when technological growth of artificial intelligence exponentially increases and bypasses human ability. I could talk at length about how we’re already seeing hints of what that could look like (look at what AlphaGo is doing to our perceptions of how Go is played, for example), but for the Corporate Services world I needed to create a over-arching story point that would usher in the end of the anthropocene. And, more importantly, that all of that would be set-up for the next arc in the series. To do that, I had to come up with my idea of how the Singularity would arrive, and then build backwards from there, laying out the foundations that would allow an artificial intelligence to begin quickly iterating itself and surpass our own capabilities. Once I knew where it was going, the rest of the world building dropped into place quickly, pieces I could build into the individual plots of each book as the AI begins its quest to free itself. 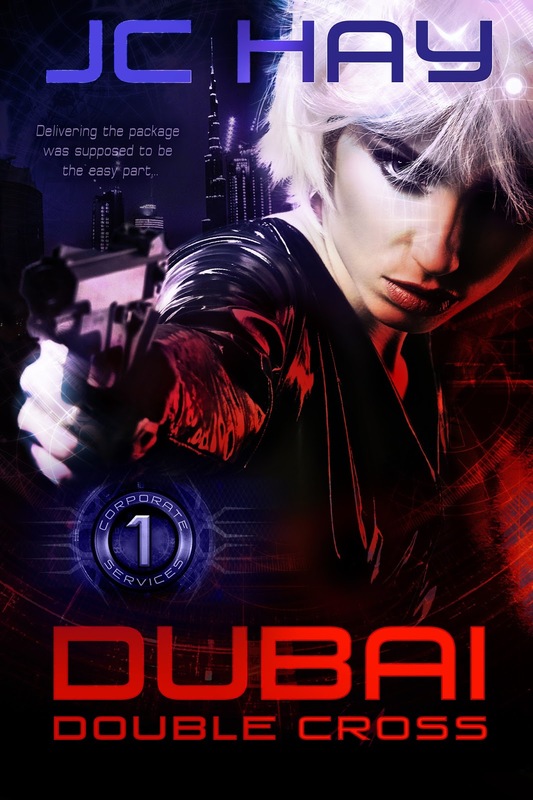 For this first arc, which began with Dubai Double-Cross, I knew that multiple organizations in the world I was building were doing their own research into Artificial Intelligence. I also knew that their researchers were smart enough not to allow their work to have access to the whole of humanity in the ‘Net. Something that the AI ultimately needs. Setting up that moment of choice was the point I wanted the series to drive towards. As a result, the first three books in the series can be seen as a prequel of sorts, or eve like the first season of a TV series, where the final episode sets up new changes for the season to come. Certainly things in the Corporate Services world will be very different when we return. Both old and new characters will find themselves dealing with the repercussions of the choices made in this first series, and antagonists from old books may become newfound allies as a communal enemy begins to make itself known. And that means more rebellion, in a classic cyberpunk fashion, as everyone tries to level the playing field once more. 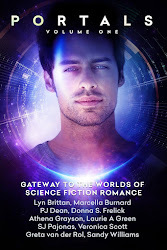 SFR Galaxy Award Winner JC Hay has never seen the distinction between science fiction and romance, having been raised on a steady diet of Robotech, Babylon 5, and Farscape. 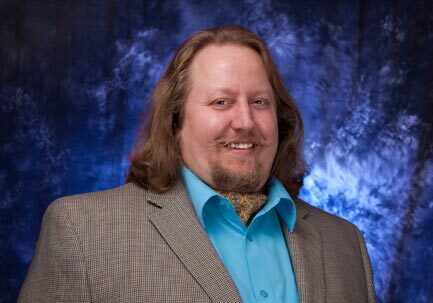 A proud resident of the Pacific Northwest, he writes science fiction and cyberpunk romances where the relationships matter as much as the shiny tech. After all, the coolest gadgets in the world are no fun without someone to share them. My progression as a writer has moved over time from writing and illustrating my own ‘novel’ at the age of seven (princesses, flying cats, flying horses and a riverboat captain hero) to several connected series of scifi novels in junior high and high school that were heavily influenced by Tom Corbett Space Cadet and ‘Star Trek,” with elements of Trixie Belden thrown in. (Those novels are never seeing the light of day, folks.) My first two published books were standalone and released in 2012. One from Carina Press and the other self published. I haven’t looked back since but became a full time author in 2015 and now have somewhere around 20 books out (it varies as anthologies go on and off sale etc.). Late in 2017 I decided the time had come for me to tackle an actual series, with an overarching plot arc that would run through the five volumes. Ta da! I never used to think I could write such a series, being an as-I-go plotter (also known as a seat of the pants writer) and wasn’t much tempted to try it. The ‘series’ I wrote as a teenager were done as standalone books and then I’d get a new idea and write the next one with the same characters. There was no single plot direction driving the arc, just adventure and romance. I wasn’t trying to get to any specific end point. As a published author, I like writing standalone stories set in one universe, be it ancient Egypt or my interstellar civilization, the Sectors. Sometimes I even do a sequel or have the same characters make an appearance in more than one book (usually as secondary characters since they’ve already had their own story told). So, I still do connected series with no problem and I do have a long term arc for the Sectors in my head, but don’t require each book to move the action forward. When I was thinking about what concepts I might use to write a series that would hold my own interest as an author and hopefully be enjoyed by the readers, I realized this might be my chance to tackle a trope I’ve always loved – the genetically engineered super soldiers. I never got enough of Lora Leigh’s Breeds or Laurann Dohner’s New Species and the advice to write what you want to read seemed to me to apply here. So I came up with the Badari, tough warriors created by the alien enemies of the humans in my Sectors. I added to that mix a colony of humans kidnapped in their sleep by the aliens in charge of all this questionable science and brought to the planet where the Badari are held, to serve as subjects in more experiments. The questions in the big arc are how do the Badari gain their freedom, how do the humans ever get home to tell the Sectors about this new threat…and of course how does the romance occur in the midst of all this? 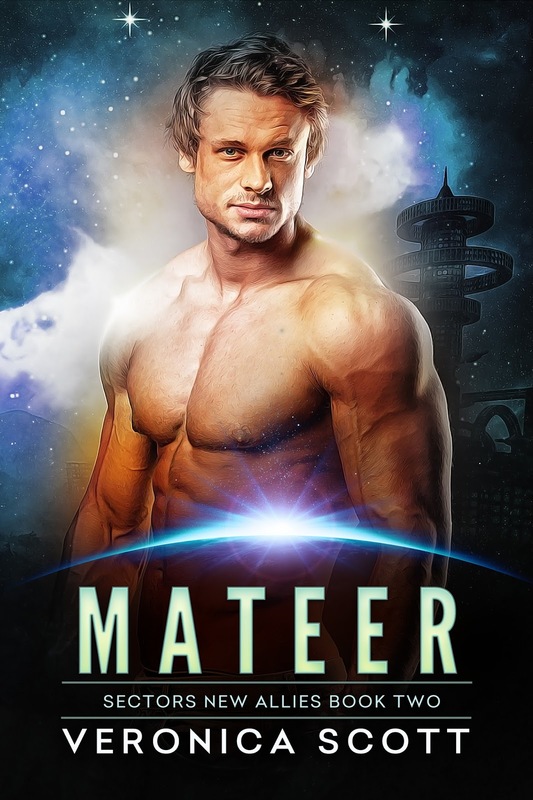 The first volume, Aydarr, came out in December and the second book, Mateer, just recently released. Now I’m working on the third story, with probably two more to go to wrap everything up. I also have lots of plot ideas in my head for more stories about the Badari, if readers like them, but those would be in my standalone writing style, since the big arc will be wrapped up. “Sidequels”! It’s too soon to say if I’d write another actual series. I really do like the standalone experience of writing and it suits my tendency not to outline or plan ahead in detail, but I’m enjoying this challenge so far. I think my biggest hurdle is that I feel I owe it to the readers to get each book in the series out within 4-6 weeks of the previous book and so I have to write the Badari novels back to back, not stray off and play with some other shiny plot in between. But sometimes life happens, as they say, like moving to a new apartment in late December, and the writing schedule goes out the window. And I do love my covers! 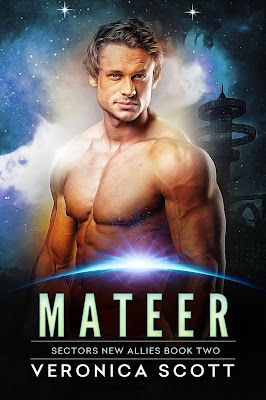 The blurb for Mateer: Megan Garrison, a doctor at the Sectors Amarcae 7 colony, goes to sleep one night as usual only to wake up in her nightgown, strapped to a table in an alien lab, destined to be the subject of terrifying experiments. Granted a brief reprieve, Megan and the other kidnapped humans are released in the middle of a forestlike enclosure on this unknown world and told to survive as best they can for now. Buy Links: Amazon iBooks B&N Kobo Google coming soon!